The Train from Spain entered service on 17 March 2018. Donors to the project were invited to ride behind the locomotive on its inaugural trip. 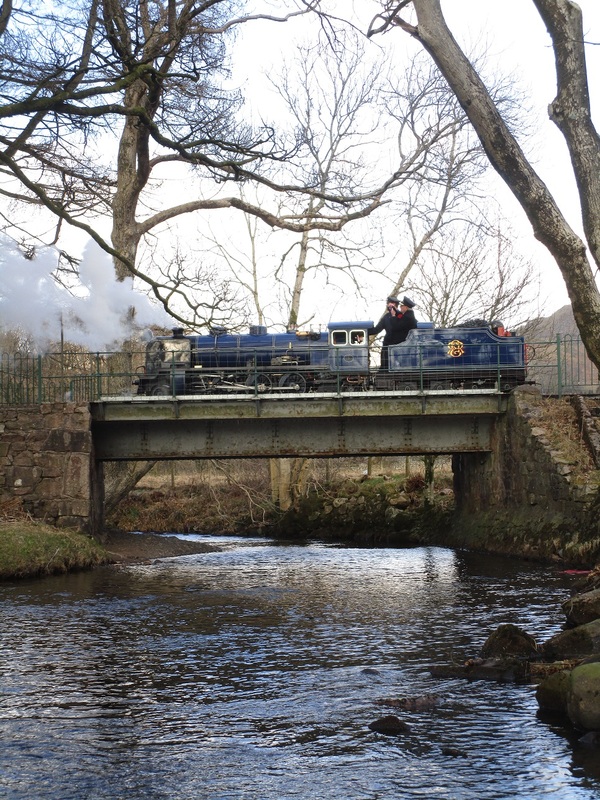 During a brief ceremony around the locomotive on Ravenglass turntable, Sam Dixon observed that the invited guests would be the first passengers to ride behind the locomotive in nearly 90 years. Despite flurries of snow, the locomotive performed admirably, achieving Dalegarth without fuss. The hardier supporters enjoyed listening to the crisp exhaust from the open carriages, whilst the more sensible retreated to the comfort of the closed saloons.